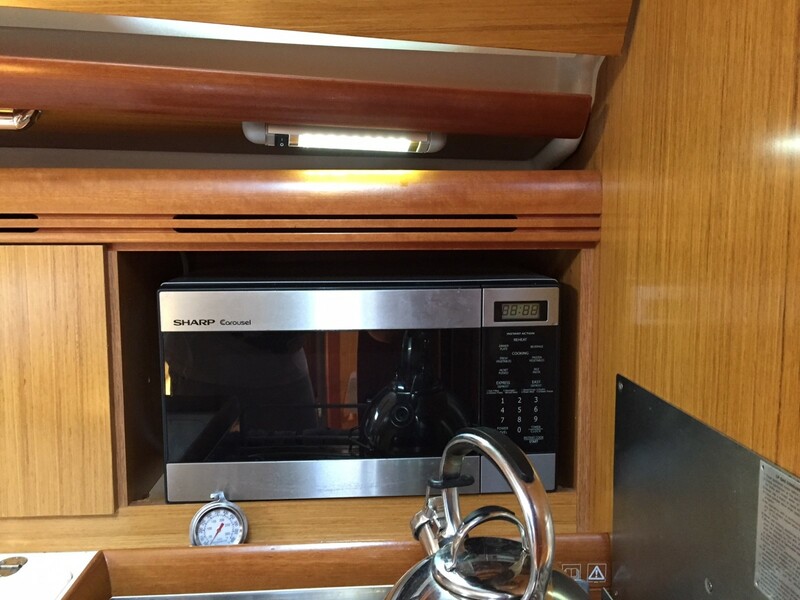 The Admiral often remarked about the lack of good light over the cooktop and the counter tops in our galley. The factory installed incandescent light above the refrigerator lid is inadequate so it was important to improve that lighting. 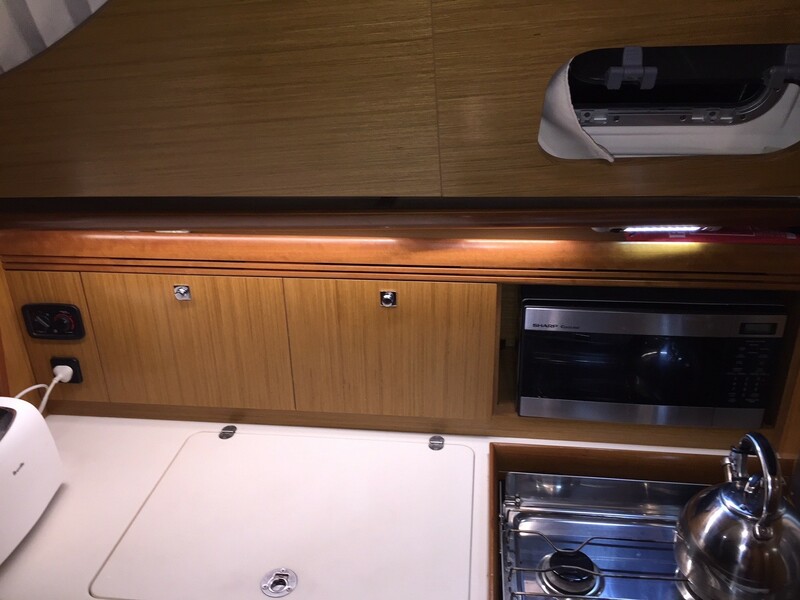 The first light installed was a LED type above the cooktop. 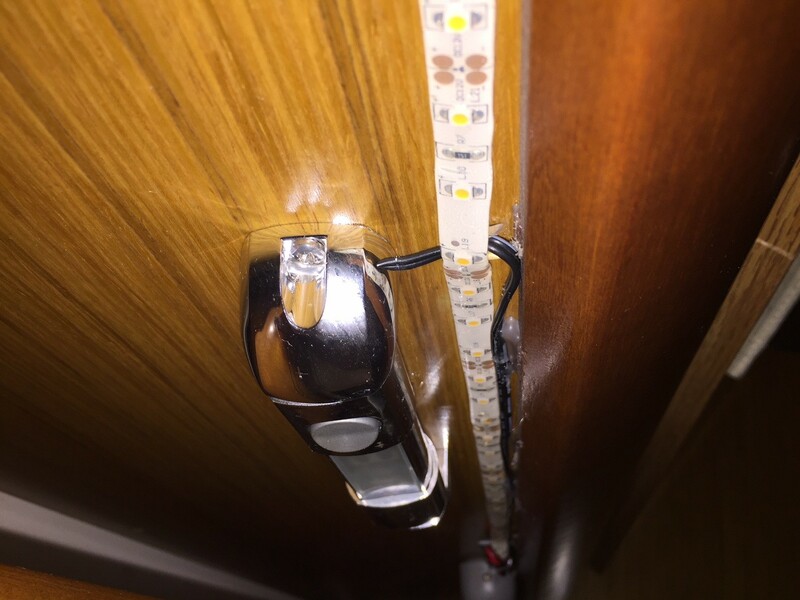 The power for this light was found from the existing factory installed light and the thin cabling was simply hot glued in behind the timber trim. Next the LED strip light was installed behind the timber trim and was powered from the on/off switch on the LED light installed above the cooktop. 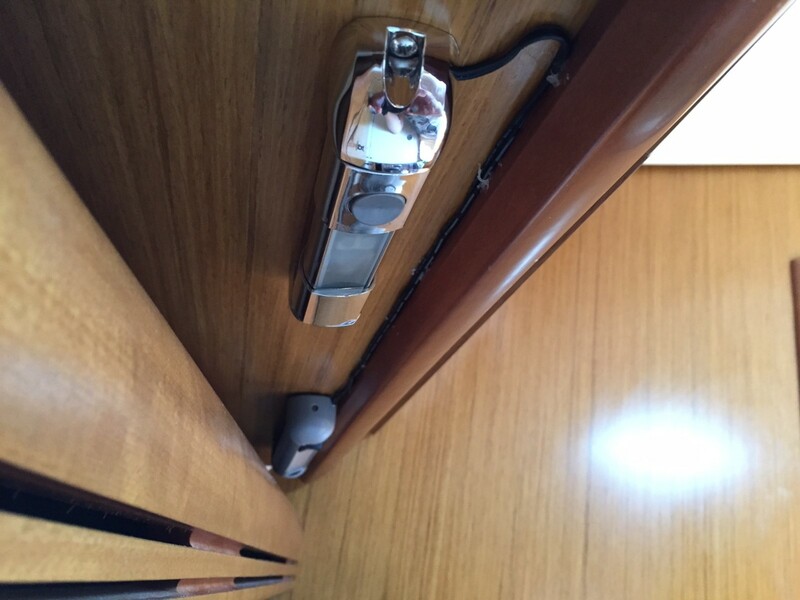 When the switch on the LED light is turned on, power is also supplied to the LED strip light. 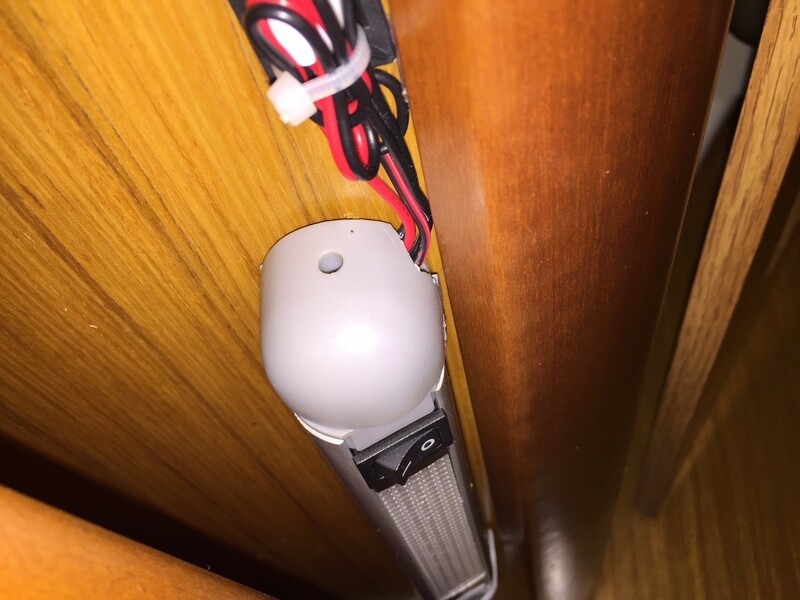 The wiring from the existing light is connected to the power input to the LED light. The LED strip light takes its power from the switched side of the light in Figure 4. Figure 6. 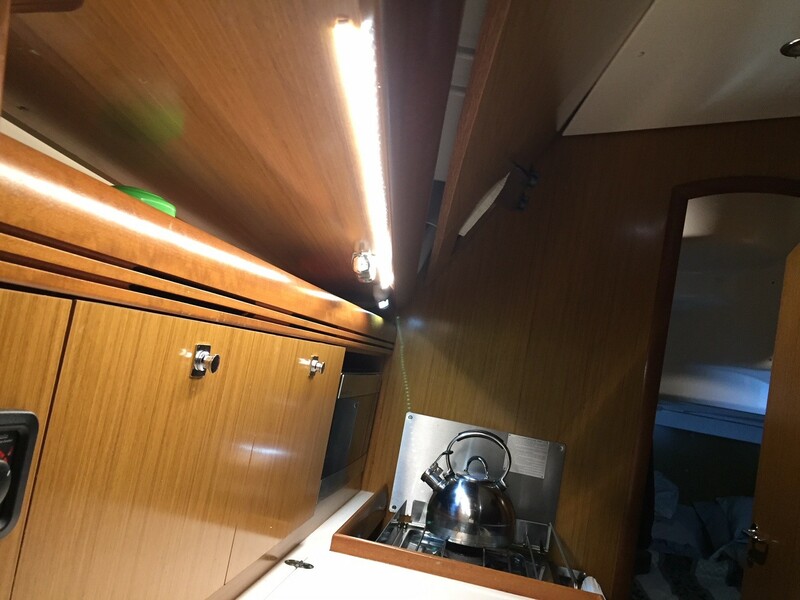 Much better lighting because of the LED Strip lighting behind the timber trim.